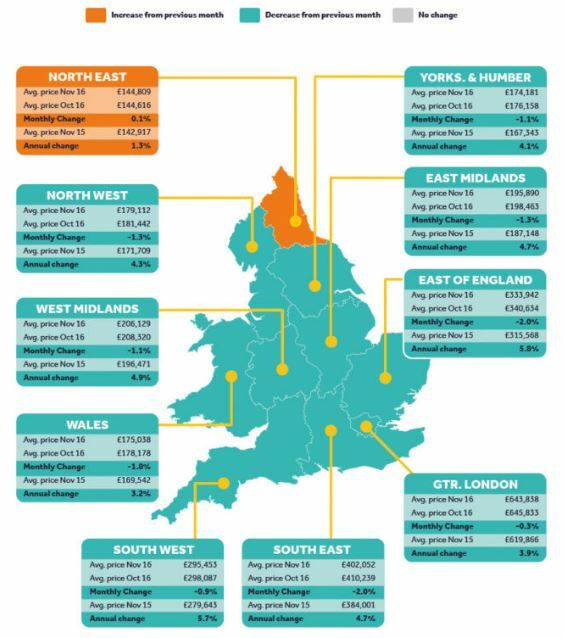 Even with a whopping 2% fall in house prices this month this still leaves the East of England as The highest growth area in the United Kingdom, year to date. This seems to be something of a trend recently and something we have certainly been taking advantage of. Seeing our house prices increase faster than our neighbouring counties. It is not unusual to see a slight dip in prices this time of year as many families and potential purchases tend to focus on the festive season rather than their next move and we expect prices to gently start their rise again, early next year. However this does make it an extremely good time of year to buy, if you have the time and energy, after all those mince pies!